A warm welcome from your guide and driver, transfer to the hotel. 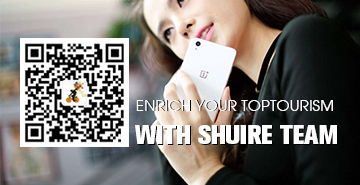 Full day trip to Huangshi Village, Zhangjiajie National Forest Park, Six Qi Ge, ChaihsingTaiwan, stroll along the Grand Canyon Physiognomy, Trinidad one, Shikonin Lake, Shu Huan weight. Stay over night in landscape. And Golden whip stream.Zhangjiajie National Forest Park, It was established by the state council in 1982 as the 1st national forest park of China. 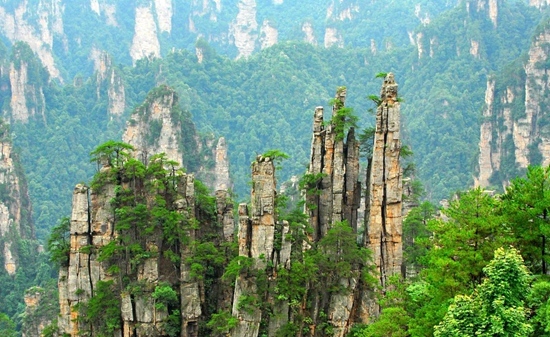 Covering 13 sq km, the park is known for it's unique landscape with lush forests dominated by quartzite sandstone pillars. Bubbling brooks and charming lakes wind around the area and connect giant caves. 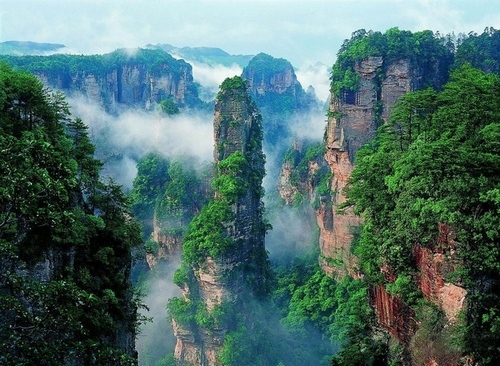 One ofChina's most beautiful nature reserves, Zhangjiajie has wonderful hiking trails in a serene environment of staggering natural beauty. 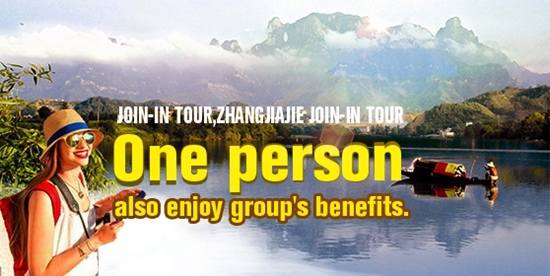 Zhangjiajie admission ￥228 for 4 days, yellow stone stronghold cable ￥65 one way. 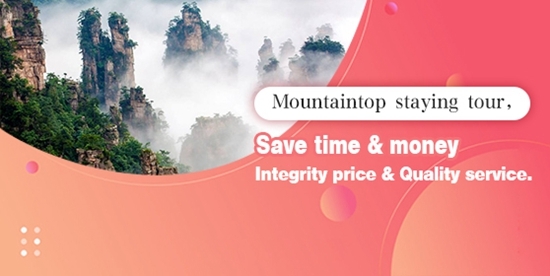 Zhangjiajie can boast about having the worlds highest free-standing elevator,and today you and your family will have the opportunity to ride it! 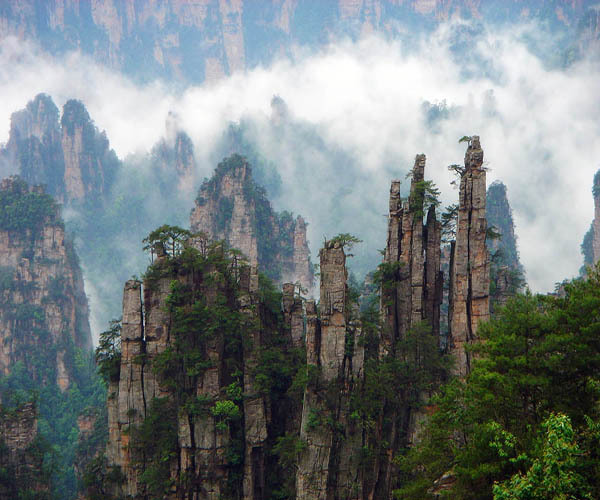 Marvel at the gorgeous views of the peaks around you when you reach the breathtaking top.Yuanjiajie-World Natural Heritage site, as a Hollywood photographer spent time shooting there in 2008. ‘Avatar’ Makes Its Mark on China’s Zhangjiajie, Floating Hallelujah Mountains featured in Hollywood blockbuster Avatar”,the prototypes in Zhangjiajie,grand and tactile forest landscape,it seems.vertiginously suspended with sky above and chasms below.Tianzi Mount in the north section of the reserve, is another popular expedition, also served by cable car. As is the custom, every rock,crag and gully has been given a fanciful name. Bailong lift ￥72 one way, tianzi mount cable ￥72 one way. Mengdong River reputed to be the worlds No. 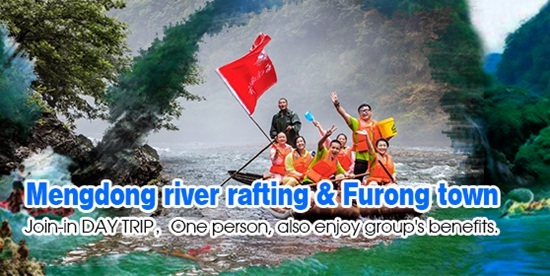 1 spot for whitewater rafting,The river snakes along the deep gorge for more than 100 kilometers. The 17-kilometer drift site is along the rivers upper stream section, where cascades and caves can be seen everywhere. Along the route, you can hardly see any indications of modern civilization. Everything seems like what it would have been 1,000 years ago. 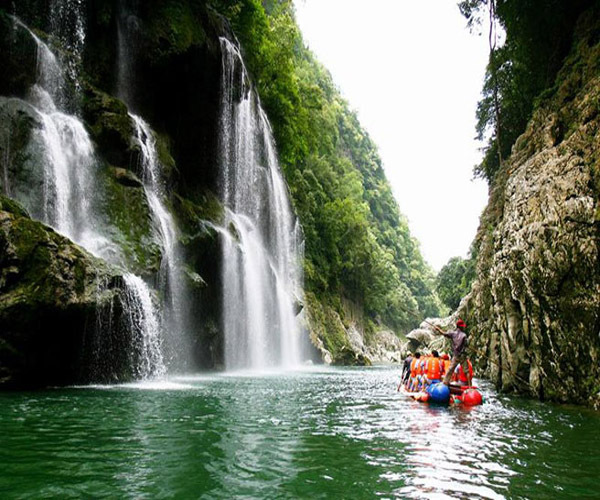 If you are familiar with some stories about ancientChina, you can easily recall them when you are in this gorge. 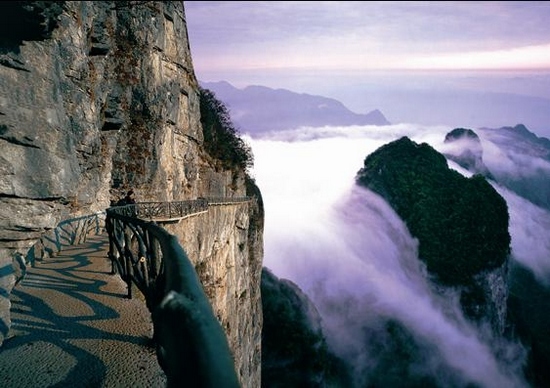 Take the longest cable car in the world (7455 meters) to the holy mountainTianmenshan Mountain is uniquely skyscraping and domineering. 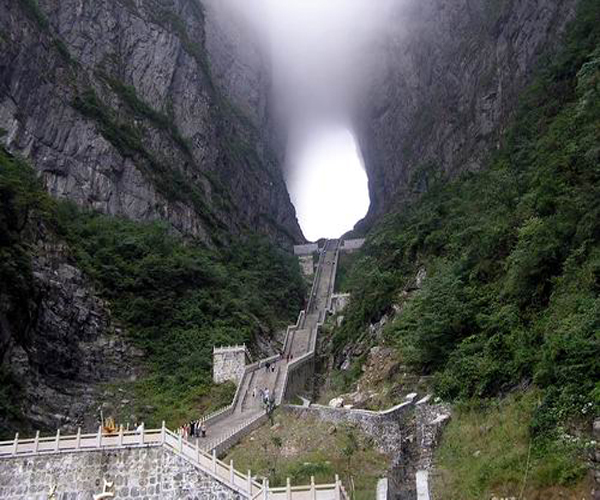 Tianmen cave the natural mountain-penetrating karst cave with the highest elevation in the world, hangs on the towering cliff. 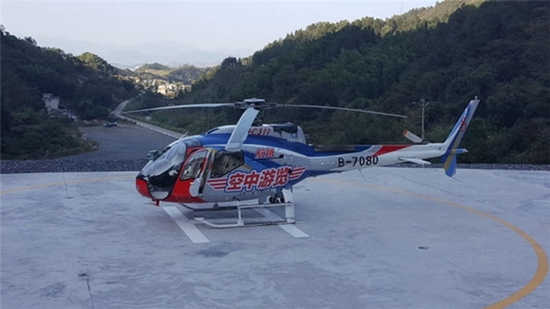 The cave become the unique sight under heaven and breeds the profound and grand heaven culture of Fairy,Zhangjiajie tour ends and transfer to the airport to next destination.